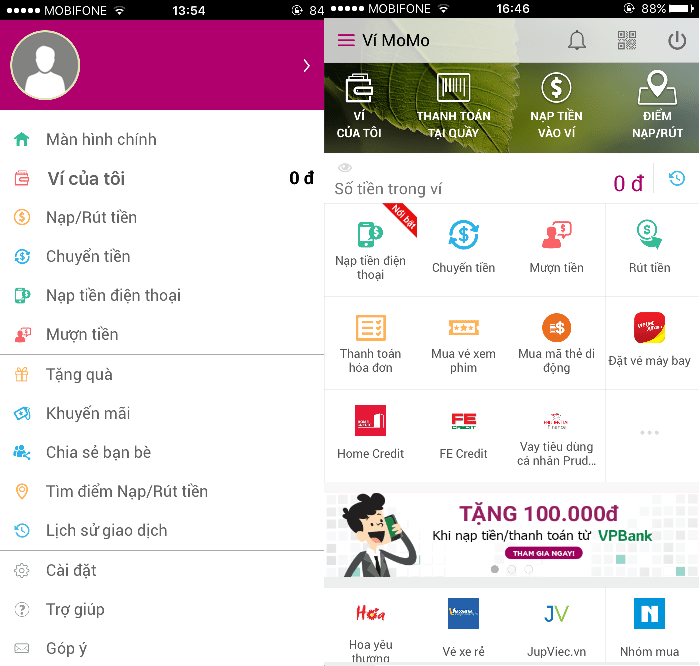 With one-quarter of the population aged under 25, Vietnam has a real potential for disruptive technology to gain mainstream attention. Launched in June 2014, MoMo, a service of M_Service, which works both as an e-wallet and a payment app, has raised a US$28 million Series B round from Standard Chartered Private Equity (SCPE) and global investment bank Goldman Sachs. It claims to have 2.5 million customers and one million of whom use the e-wallet. 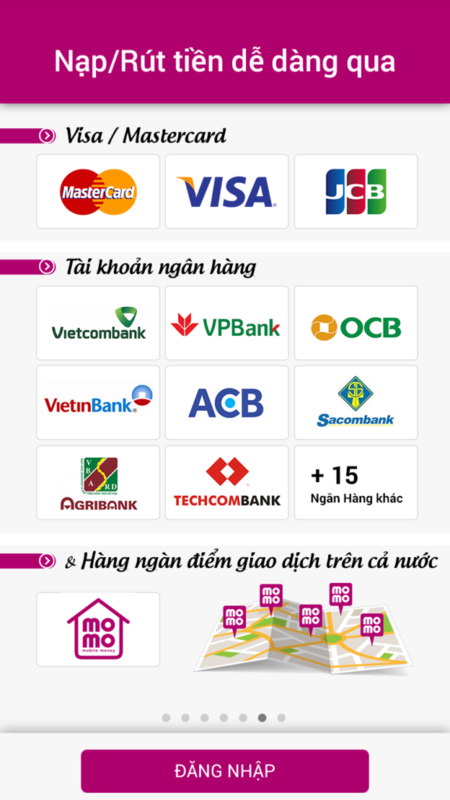 According to Pham Thanh Duc, CEO of M-Service, MoMo currently works with more than 100 service providers on the payment app side of its business, which enables customers can load cash into their account, withdraw it when they want, make bill payments, and other activities that would be done with a regular bank account. 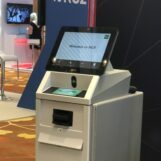 The payment system is integrated with 24 domestic banks, as well as international payments networks including Visa, MasterCard and JCB. Sign up an account to use the app (available for both iOS and Android devices) is very easy. Just by providing your phone number, a verification code will be messaged to you. You just need to use the code and then your account will be activate. With MoMo, all the services are put into one place and there is also a diversity in types of services, which allows MoMo users to facilitate the best use of the app in their daily life, from topping up mobile balance, lending, transfering, withdrawing money, buying movie tickets, booking flights, buying coupons, etc. 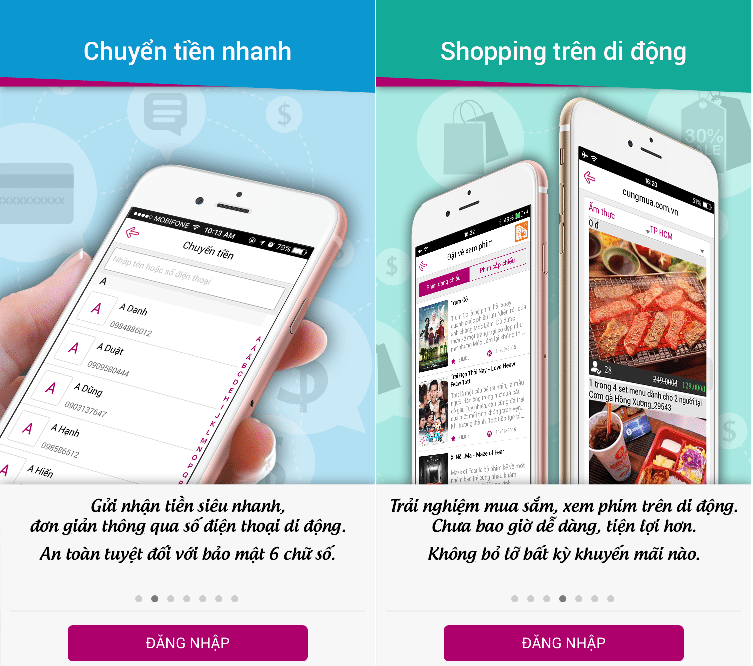 MoMo enables users to either adding money to their wallet directly from the app or visiting one of more than 4,000 MoMo stores across Vietnam. 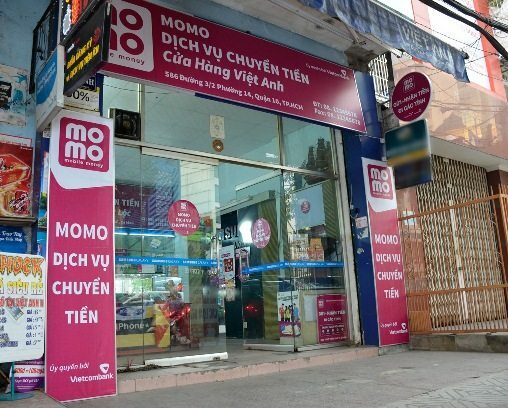 Manh Tuong Nguyen, Vice President at M_Service, said that MoMo has been seeing 30 to 50% growth per month in terms of transaction volume and user base. M_Service was established in 2007. 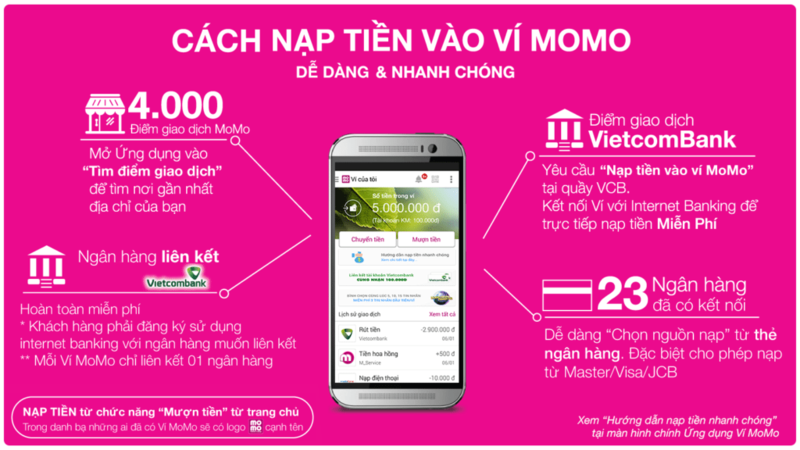 It was licensed by the State Bank of Vietnam in November 2012 to provide a mobile money service branded as MoMo. 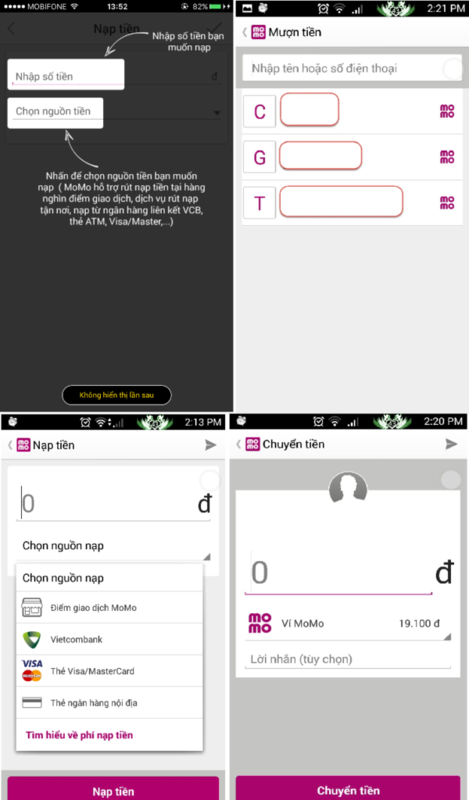 MoMo provides a new financial service based on mobile applications. The company has more than 3,000 outlets in 38 provinces and cities nationwide.